Book club meeting: new location! >We will be reviewing, “The Winter Palace” by Eva Stachniak on Wednesday, Jan. 31, 2013 at 7:30 pm. in the Penthouse at The Edinburgh Retirement Residence, 10 Vaughan St. The Books on Beechwood Book Club is organized by Jill Moll, a long time employee here at the bookstore, and runs from September through to June, with a break in December. In the month prior to every Book Club meeting, the book in question is always 20% off for Book Club members and store customers. New members to the Book Club are always welcome. Julia Child was an American who became known world-wide as The French Chef. Dearie gives a lively account of how this happened. 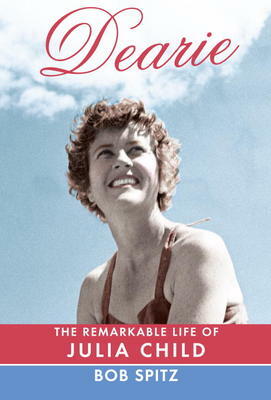 Julia grew up in a rich family in California, moving East to graduate from Smith College, work for a while in New York in publishing and taking off during World War II to join a spy agency, posted to Ceylon, later China. Here she met Paul Child, a member of the U.S. diplomatic corps. They discovered a love of food and explored Chinese dishes. They were married and posted to Paris, where this love of food continued. “I was not much of a cook when we were married”, Julia admits. She joined Le Cordon Blue, however, and later, with two friends, ran her own cooking school. Back in the U.S., Julia and Paul set up house, where they entertained a lot and Julia worked on a cookbook which would be called “Mastering the Art of French Cooking”. She also went on television, an educational program of PBS, in black and white, and was an instant success. People related to her frankness, her direct way of speaking to them, her lack of embarrassment when the roast chicken fell to the floor and she carried on as if nothing had happened. And eventually she got her own program, called “The French Chef” and became a legend in countries around the world. “Dearie” really tells the story of America’s coming of age, from the Depression Era to the turbulent sixties and the eventual greening of the American kitchen. But this book is fun to read because of Julia Child’s own charm. It is almost like watching her again showing us a recipe. On Sunday the 20th, between 2 and 4pm, Mary Hagey will be in the store to do a book reading. 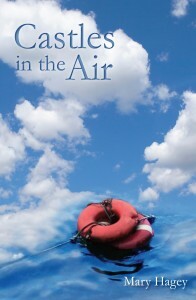 Her latest book, “Castles in the Air”, is a collection of short stories. This debut short-story collection showcases Mary Hageyâ€™s uncanny ability to capture the essence of being human. These richly satisfying stories, told with wry humour, intelligence, and verve, take us into fictional territory that is at once utterly original and as real as the world around us. These are people we know. Some of them might have fared better in life if theyâ€™d had different parents perhaps, or married someone else, or worked at pleasing themselves instead of others, or if unforeseen circumstances hadnâ€™t tripped them up and held them back. But now they find themselves caught up in salvaging whatâ€™s been lost or maintaining what seems to be slipping away. 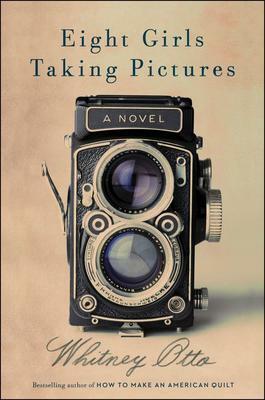 Whether itâ€™s a woman on a timely mission to reunite her dying mother with her estranged twin, or a man in a troubled marriage trying to comprehend his wifeâ€™s mysterious grief when Princess Diana dies, or a dropout returning to school far from her Newfoundland home, these characters persevere in ways that illustrate the fundamental courage required of all of us. As they grapple with their situations and try to assert themselves in their lives, theyâ€”and the readerâ€”come to regard their circumstances in a new light, and sense a quiet unfolding of truth. This is an interesting look at eight famous women photographers – what made them famous and the conflicts they faced in pursuing their careers, love, marriage and children. Whitney Otto covers the 20th century, as well as a number of countries: the U.S., Germany, Mexico. Although she divides the book into eight sections, she turns it into a novel because many of the women met each other in the course of their work. Cymbeline Kelley, for instance left Seattle when her hired help burned her photography studio; working in Dresden, l909- l9l0, she met other women photographers. Clara Argento’s interest in photography as well as socialism took her to Mexico, to photograph the revolutionaries. There is considerable danger in the book; Lenny Van Pelt is in London during the Blitz. There are tough scenes in Germany when a number of the photographers, who were Jewish, faced Nazi threats and lost their homes and livelihoods. It is an ambitious look at women’s conflicts as they face up to being Career Women, as opposed to traditional wives and mothers. Whitney Otto, who lives in Portland,Oregon with her husband and son, tackled this subject in an earlier bestseller, “How to make an American Quilt” (which was made into a feature film).